My lips are purple today, why not? 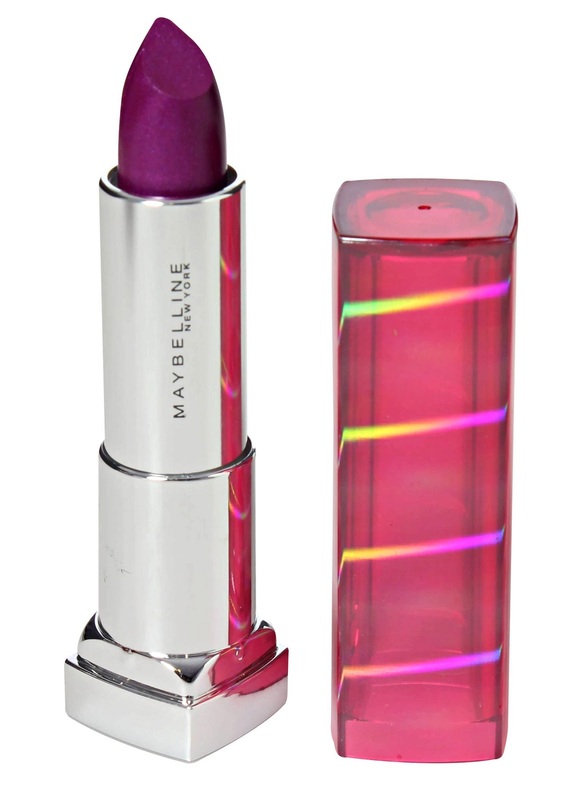 I am in love with purple lips so when I saw this purple-ish lippie from Maybelline, I knew I had to try my buck’s luck. I bought this a couple of months ago, and if I remember it right, that’s even before my dad got sick and then completely forgot about it. These days, I have my personal vow to only spend when I have at least three gold bars in my apartment (goodness, that would be awesome, haha). Sick, noh? I just realized it’s more effective to be frugal when you stop counting your few pesos as if they are gold. Anyhow, I picked up this Maybelline The Jewels by ColorSensational in Amethyst Ablaze during one of my Maybelline field trips at the mall. The only thing which bothered me in the beginning were the glitters. Oh my God, they were like screaming Vegas to me. But don’t be fooled, because when you applied it, it wasn’t that bad afterall. The first swipe is a hint of purple with few glitters on them. The trick is to swipe few times and pronto, the color’s going to blend in your lips beautifully. This retails for Php 399.00 in your local beauty department stores. It does feel heaven to know that it glides to your lips even without the balm. Yes- the finish is somewhat satin-like. Not matte. Staying power wasn’t that good for my lips. However you can apply lip primers or a hint of concealer or tap a colorless powder to keep it matte. I just realized it doesn't look to purple-ish with the camera. Awww. Despite it not being matte, what I like about it is that it complements my skin tone. The glitters completely disappear when you wear this with extra few swipes. The buildable formula, IMHO is really the best selling point of this product because you can tame or “wild” it depending on how you want your look to be. I read some bloggers compare this with MAC Violeta and it may not be an exact dupe but close. Wow, isn’t that great news? Maybelline vs MAC? Why not? Buy Again: Yes, sure. It is one of the most affordable purple/ violet lippies out there.